Olivewood is a hard wood with a beautiful natural grain, additionally olivewood is very resistant to water. The brush has a linen hand strap and a detachable handle. This is a substantial bath brush, made by craftsman who really know their trade. 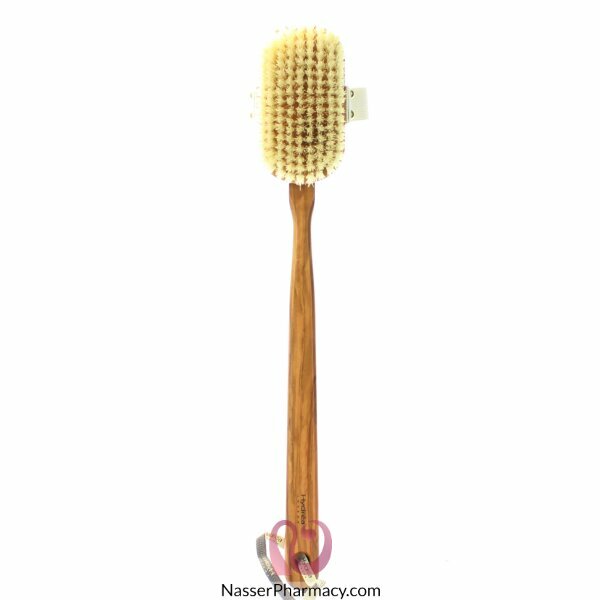 Remove the handle for scrubbing your upper body and use with the handle for scrubbing your lower body and feet. Hand made in Germany - quality assured.